I’m Back (With Some Exciting Elle & Company Updates)! After a restful 3 months of maternity leave with my baby boy, I’m slowly easing back into the swing of things with Elle & Company. And as you may have noticed, things look a little different around here! There are all kinds of website and content updates to share, and many of you have asked me what my plans are for running a business while staying home with a little one. I’m excited to fill you in on all of the above! Update #1 | Eli is here! I am officially a momma (although that title is still taking some getting used to!). My son, Eli, was born back in April, and I am enjoying motherhood far more than I ever could have imagined. It was so nice to have 3 uninterrupted months to spend with him without worrying about publishing new content, completing client work, or posting to social media. I was able to unplug and soak up every moment (even those 2:00am feedings!). Parenthood has definitely been an adjustment, but Eli has made the transition easy. He got in a routine pretty quickly, he’s laid back (like his daddy), and he’s already sleeping through the night. But even with an easy baby, my work weeks are looking a little different nowadays. The past two weeks I’ve been sneaking in work during nap times, but I’ve learned very quickly that those times aren’t very dependable. I’m back to the old part-time business days of working at night and trying to sneak in tasks at odd times throughout the day. And to be honest, it hasn’t been easy. There have already been days where work takes a backseat to bouts of fussiness and endless diaper changes. But as I look back at these past 4 years of running Elle & Company, my business grew most and had the greatest impact on others when I had to get creative. When I didn’t have all the time or resources available to me. When I was pushed out of my comfort zone. In many ways I feel like I’m starting from scratch again and relearning what it looks like to pursue my business part-time. But I’m oddly excited, because it will allow me to relate better to those of you who aren’t able to pursue your businesses full time either. I hope to have someone keep Eli for a few hours a week in the fall, but until then I’ll be grinding it out, getting creative, and giving myself grace. For those of you who are running a business while staying at home with little ones, what is your best advice for juggling the two? Please leave me a comment - I would love to hear from you! This update has been a long time coming! As with any business, Elle & Company has continued to change and evolve over the past 4 years. 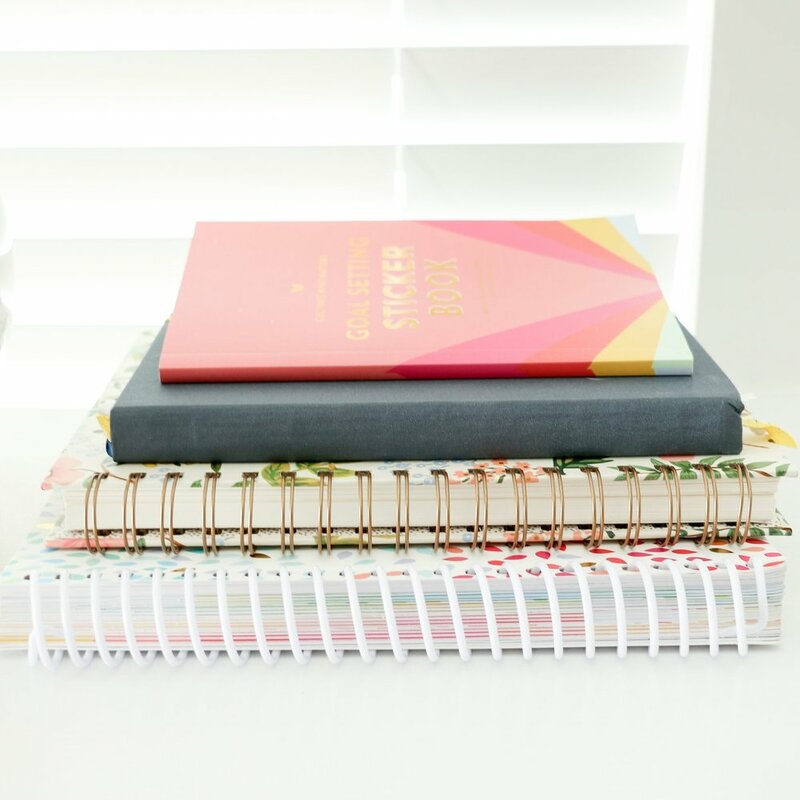 What started as a graphic design resource has now grown into an online business resource with courses and business coaching, and I needed some time to step back and figure out how it all fit together. So I took the advice that I so readily give all of you and revisited my mission statement. Now it’s the first thing you see when you land on the website. My previous site design also didn’t have a clear call-to-action. I call attention to that page as my primary call-to-action in the site’s main navigation and on the banner image on the home page. I’ve also developed a bunch of resources over the years - blog posts, workbooks and guides, podcast episodes - and I wanted them to be easily accessible to visitors. So I created specific landing pages for the major topics I share about on this site - Brand Your Business, Design Your Website, Tools & Resources. Each of these pages acts as a home base of sorts, explaining the topic in detail and linking to all of the resources on the site. From a design standpoint, one of the biggest changes has been the addition of large banner images on each main page of the site. Like many of you, I don’t necessarily love posting photos of myself all over my website and social media accounts. But my hope is that these images make the website feel more personable and relatable. They also add more color and draw more attention to the headers on the site. There are still features I’d like to add and pages I’d like to update, but those will come in time. The great thing about a website is that it’s “living;” you can continue to make changes to it as you go. 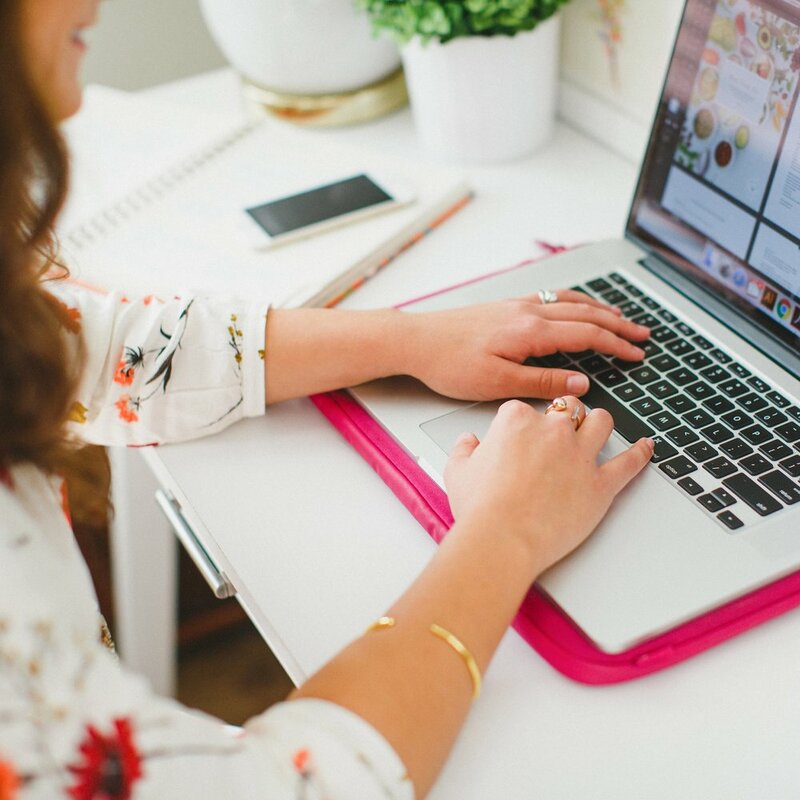 But it was important to me that I get the new site design up before the fall so I could hit the ground running with my new service, blog series, and Ellechat season (keep reading to learn more about those!). What’s your favorite update to the site? Let me know in the comments! The more I blog about design and shared my work in this space, the more people reach out asking for feedback on their own brand and website. And while I offer brand and website design, I’ve found that many people just need affirmation on what they’re doing right and direction on what they can improve on. So I’m trying something new and offering brand and website audits! In these one-time coaching calls, I review your current brand and website and provide practical guidance on changes you can make to catch the attention of potential clients and create a better user experience. It’s very similar to my brand and website design service; you’re just the one taking action! And it’s a fraction of the price. You can see the process and check out more details here. Update #4 | Ellechats are coming back in August...with a few changes! If there’s one Elle & Company thing I really missed during maternity leave, it was doing Ellechats each week. I’m excited to get back to them this August, but I’ll be switching up a few things based on the feedback I received in the Elle & Company Facebook Community this spring. First, the Ellechat will be primarily in podcast form. While I love meeting up with you in live webinars, I’ve found that many of you are either working during the live events or just enjoy the flexibility of listening to them whenever you want to. And that’s the beauty of podcasts - you can listen to them on your commute, on the treadmill, or while you’re washing dishes. My work schedule and availability also looks different in this season with a little one. So I’ll be recording all of my solo Ellechats as podcast episodes. But not to worry! All of the guest Ellechats will still be hosted as live webinars so you can tune in and ask questions, and I’ll continue to take the audio from those and publish it to the podcast. Second, I’ll be recording shorter episodes. Ellechats have been 60 minutes long up until this point. And while that’s allowed me to go very in-depth on topics and answer many of your questions, I found that many of you prefer shorter episodes. After all, you’re trying to run a business and your time is limited, too! So I’m cutting the length of my solo Ellechats in half. You can expect succinct, 30-minute episodes from here on out! Guest Ellechat webinars/podcast episodes will be 30-45 minutes in length. And third, I’ll be taking a seasonal approach. Pumping out content year-round is quite the feat! Just as TV shows have seasons, I’ve decided to take a seasonal approach to the podcast. I’ll be publishing new Ellechats during a fall season and a spring season, with breaks in between. This will give me some time to regroup and brainstorm new, exciting content for you guys. So mark your calendars! The first episode for the fall Ellechat season will go live on Tuesday, August 7th. A few years ago I shared a series of blog posts on how to get started with Squarespace. Since then those posts have received hundreds of thousands of views and shares, and they continue to be some of the most visited posts on this site. But Squarespace has changed a lot over the past few years and I’ve continued to learn more about the facets of this awesome website platform. So I’m launching another Squarespace blog series this week! If you’re in the throes of designing your website or your site desperately needs updating, you won’t want to miss it. Visit the first post in the series here! Whew! So many changes and updates. Which one are you most excited about? I’ve missed you guys and would love to hear from you in the comments. It’s so good to be back!